Cool display, graphics claimed to be 4x tegra3! 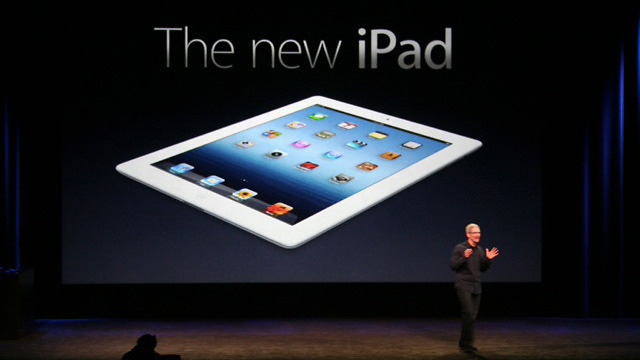 Apple announced a new version of the iPad at an event today in San Francisco. The new hardware will have a retina display, a 5-megapixel rear camera, access to 4G LTE networks, and an A5 X chip with quad-core graphics. "To this day, no one has yet matched that display technology on any mobile device," Phil Schiller said of the 2048x1536 display (that works out to 264 pixels per inch). The new A5X chip is meant to excel at graphics, and has four times the performance of NVIDIA's quad-core Tegra 3 chip, said Schiller.